Clean, safe drinking water is a basic human need, yet one unmet by more than 700 million people worldwide. For entire communities living in low resource conditions, the danger of waterborne disease is a fact of daily life. In the spring of 2015, MSR Global Health, together with their partners, celebrated the launch of an affordable, easy-to-use and sustainable water treatment system that gives communities a reliable tool to create their own safe drinking water. Co-designed by MSR Global Health and PATH, a Seattle-based international nonprofit and global health innovation leader, the SE200 Community Chlorine Maker is a soup-can sized device that uses only salt, water and a power source (even a 12 volt car battery) to produce in five minutes enough chlorine to treat up to up to 55 gallons (200 liters) of water and make it safe for drinking. As a disinfectant, chlorine offers an effective way to destroy pathogenic microorganisms and reduce the threat of waterborne disease. With a simple push of a button, one SE200 device can treat over 1,000 gallons of water per day—enough to serve a community of up to 200 people. The SE200 Community Chlorine Maker on the MSR Global Health factory line. The revolutionary, portable device was unveiled on May 19, 2015 at MSR’s factory headquarters in the SODO neighborhood of Seattle. The launch event celebrated not only the first available product to come out of the new MSR Global Health division, but also the partnerships that made its development possible. Individual donors, development partners, and early adopters—including the Christian humanitarian organization World Vision, the Laird Norton Family Foundation, The Washington Global Health Alliance, the Lemelson Foundation, the Defense Advanced Research Agency (DARPA), and the US Marine Corps—provided the support, mentorship, funding, field evaluation, and years of technology development to make this lifesaving product a reality. The launch event featured an SE200 water treatment demonstration by MSR Principal Scientist Tim Oriard, a presentation and Q&A with MSR, PATH, and World Vision leadership, plus a SE200 factory line and MSR Water Lab tour. President Joe Mc Swiney provided background on MSR’s long history of developing gear with safety in mind, which laid the foundation for its future focus on global health.  (Mountain Safety Research was initially founded to save the lives of climbers though gear testing, and later became a company known for making reliable performance gear.) Mc Swiney related how in 1998, MSR created an R&D division to work with outside organizations on some of the hardest problems facing the world, and that MSR’s pioneering, portable water systems grew out of this division. Glenn Austin, a Senior Advisor of Product Development at PATH. Austin also spoke about field-testing an early MSR prototype, a smaller system designed to make enough chlorine to treat a 20-liter (5 gallon) jerry can every two minutes. The prototype drew feedback from the local community that led to the SE200’s larger batch size to treat 200 liters (55 gallons) in five minutes, and many of SE200’s features—including lights that show it’s running properly and a beeping sound signaling when fresh chlorine is available. Villages can use the system to treat water at wells, water kiosks, water trucks, schools, or other common sources of community water. Brian Gower, Funding Strategy Director for Water, Sanitation, and Hygiene Programs at World Vision, spoke about the organization’s early adoption and field testing of the SE200, starting with the implementation of the first 30 units off the production line in Kenya and Mali, just weeks before the launch. He remarked that the users see the device as so transformative, effective, and simple, that at times, they refer to it “like a magic trick.” Gower shared the organization’s plans to implement 80 more units in communities throughout Kenya and Mali by year’s end. The SE200 launch event was an opportunity to give supporters of the project a behind-the-scenes look at the technology and production behind the SE200 Community Chlorine Maker. Laura McLaughlin (MSR Global Health), Ashley Labat (World Vision), Kim Kerston (PATH), David Derr (World Vision), Lisa Cohen (Washington Global Health Alliance), Brian Gower (World Vision), Tim Oriard (MSR Global Health), and David Owens (World Vision) examine early prototypes of the SE200 at the event. The SE200 Community Chlorine Maker will be manufactured in-house in Seattle. MSR Global Health, PATH and World Vision are continuing their partnership to reach more people, monitor and evaluate success, and explore future safe water product needs in the global health community.